Lakehurst Village is a sought-after townhome complex in little, just steps from Harriman Lake, hiking and biking trails. The complex was built from 2002-2004 and includes 138 townhome units. The 2-3 bedroom units include 1400-2100 square feet of living space plus 1,000 square feet of yard space outside. These open floor plan units have a 1-2 car attached garage, laundry in the unit, fireplace, and walk-in closets. The reasonably priced HOA managed by KC & Associates includes the pool, water/sewer, trash, snow removal, landscaping and exterior maintenance. Townhomes for sale in Lakehurst Village are located near the Foothills Golf Course and artsy Old Town Littleton with cafes, galleries, shops and restaurants. See what your Townhome is worth With an Instant Home Valuation Online. Want advice on selling your Townhome? We provide a free staging consultation, pre-listing prep plan, and a Lakehurst Village real estate market analysis. Call us at 303-325-5690 to learn more. New to the Area? 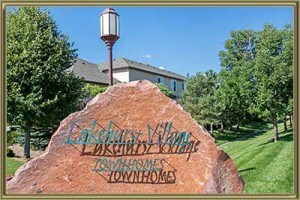 Call our Lakehurst Village real estate agent at 303-325-5690 to schedule your tour of Townhomes in Littleton CO.